You’ve probably wanted to have straighter teeth for a while, but at this stage in your adult life, metal braces are not a choice you are willing to consider. Invisalign® offers you the convenience and flexibility to live life without the hassle associated with other types of treatment. 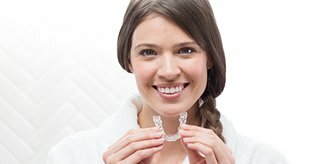 From the moment you start Invisalign treatment, you’ll enjoy a better smile every day.